We are on the homestretch of our freezer meal series. Only two recipes left! Today's recipe was one of my favorite in the series. 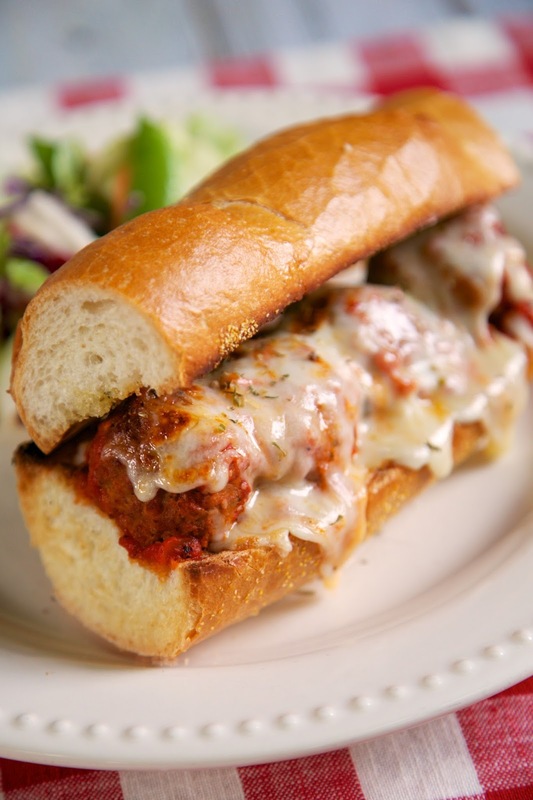 These meatball subs were crazy easy and tasted great. Frozen meatballs come in a lot of different sizes. I used 1-ounce meatballs. I thought they were just the right size for these subs. I made the garlic bread right before we ate dinner. I made my own, but you could use a loaf of frozen garlic bread if you don't want to take the time to whip up your own. Serve this with a side salad for an easy meal! If you missed the previous freezer meals, you can check them out here: Day One, Day Two, Day Three, Day Four, Day Five, Day Six, Day Seven, Day Eight. Place meatballs, garlic and herb seasoning and spaghetti sauce in gallon freezer bag. Place mozzarella cheese in sandwich freezer bag. Freeze. Combine butter and garlic bread seasoning. Slice baguettes lengthwise. Spread 1/2 of garlic butter on inside of each loaf. Close loaves and cut each loaf in thirds cross-wise to fit in two gallon-sized freezer bags. When ready to cook: Place frozen garlic bread and mozzarella in refrigerator to thaw until ready to eat. Place contents of gallon freezer bag in slow cooker. Cook on LOW for 8 hours. To serve, Place garlic bread, cut side up, under broiler until toasted. 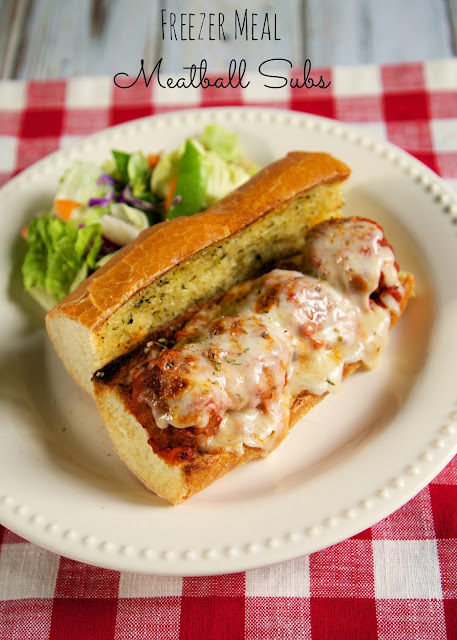 Top bread with meatballs and sprinkle with shredded mozzarella. Place under broiler until cheese is melted. I'm so excited to try this freezer meal.